This is Alanna, a senior project manager at Arekibo. 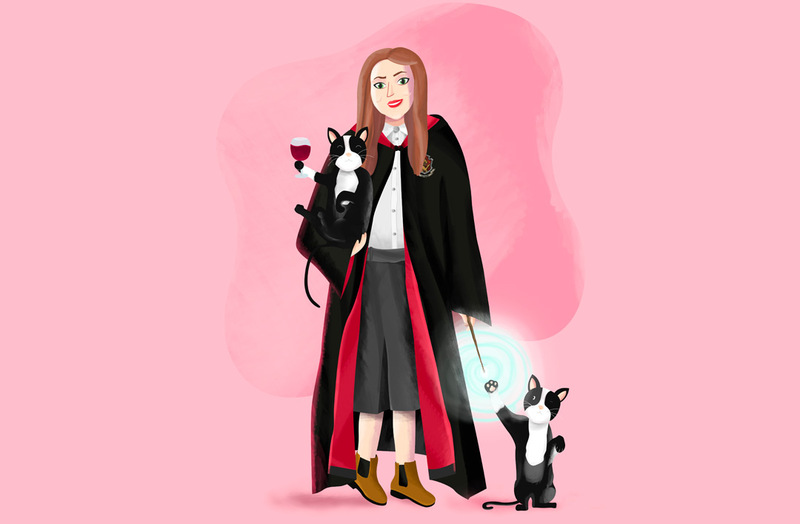 She has two cats and loves Harry Potter. Every week we will be sharing a short Q&A with our Arekibians so you can get to know us better! I completed a Masters degree in DCU in Management and Digital Marketing in 2013. I really enjoyed the management part of my masters. I joined Arekibo in September 2013 as a Project Manager. My first degree was a Bachelor’s in accounting and Finance! Electric Ireland Online Shop. There were a lot of limitations within this project, so it provided a good challenge for the UX team and I. Despite the restrictions we managed to deliver an excellent user experience for the customer and surpassed the clients expectations. People are multi-skilled; everyone in a team can contribute help to solve a problem, even if it isn’t their specific area of expertise. You don’t ever stop learning and every person you work with can teach you something new. My emergency chair cardigan for when the office alternates between freezing and tropical!